After weeks of poor weather in Queensland, Saturday 10th November dawned bright, sunny and hot. This would be the perfect day to head for the hills and make a DMR contact, in simplex, on Talk Group 99 in Time Slot 1. At first, my plan was to climb to the summit of Mt Beerwah (VK4/SE-057) but on reading a few blogs about the climb and what it entailed, I decided that discretion would certainly be the better part of valour on my part as I am not as young as I’d like to be. Much of the way up is undertaken on all fours, so the bloggers said; I didn’t want to chance becoming a helicopter Medivac casualty. Moving about on all fours isn’t advisable especially if you have gear that includes a rather long and unwieldy ‘squid pole’ to contend with. So I set my sights a little further up the Sunshine Coast and settled on Mt Coolum (VK4/SE-114). And to make things even better, it falls within the Mt Coolum National Park (VKFF-0344). My gear for this activation was my Elecraft KX1 (with six internal AA cells) and 24 ft long wire antenna with two counter-poises of 16ft and 32ft respectively. For seating arrangements I took along my Helinox Chair One. Mt Coolum is the second largest solid rock mountain in Australia; the largest is Uluru (previously known as Ayers Rock) in the Northern Territory. This fact alone made it fitting that I should climb it as I had visited Uluru in July. The way up to the summit is very steep but the path is excellent, consisting of suitably arranged rocks that act as steps. It is a very popular outdoor venue with the locals and as a result the way up and down is very busy. The was a constant stream of people making their way to the summit. As soon as I arrived at the top I put out a call to Greg, VK4MHC, on DMR simplex with my CS750 hand held radio. He replied and sounded as if he were a few feet away, so strong and clear was the audio. And considering he happened to be at a local resort some 2km away, the quality of the signal was nothing less than astounding. The simplex calling frequency in Australia is 439.200 MHz. We then proceeded to talk on 2m and 70cm FM; I used my Yaesu FT-70D and he used his Yaesu FT-818. I then looked for a suitable spot out of the way of curious onlookers to set up my HF station. That spot turned out to be right in the middle of a thicket of sharp bushes that I cleared just enough for the chair. Keeping out of the sun was the name of the game. Once my gear was in place, I settled down into my chair and uploaded a spot to SOTA Spotter. Who said the bands were dead? Here’s the list of the stations I worked using only 2W. In addition, VK3CAT, VK3ARH and VK3IL were also summit activations. At leas the view was good amongst the prickly shrubs. I received a query from a reader yesterday regarding tuning up an antenna using the internal ATU in his Elecraft KX2 if it were connected up to the miniHFPA2 amplifier. The reason he wanted to know about this was because he was considering ordering one for use with his Elecraft KX2. He wanted to know if it is it possible to run an antenna such as a doublet, by tuning the antenna using the KX2’s internal tuner with the amp in bypass mode, then switching the toggle switch on the amp to put it inline. He said that it appeared to him that this procedure would not work because the amp, once in line, would probably change the SWR of the antenna. Firstly, with the KX1 (powered by a 12V supply voltage) connected to a PWR/SWR meter and 50 Ohm dummy load. A straight through test with the signal going to the dummy load.Secondly, connected up the miniHFPA2 directly to the KX1, and the Pwr/SWR meter and dummy load. With the Amp in bypass mode, the reading was 3W output and 1.0:1 SWR. The only difference now is that the amp has been connected up but left in bypass mode. With the Amp switched on and placed inline, the reading was 18W output with SWR 1.0:1. Note: the lower than expected power output with the amp inline was due to the fact that the amp is set up for an input of 5W. My KX1 can only supply it with 3W, so the final output of the amp will be lower too. With 5W in, as is the case when connected up to my Yaesu FT-817, it outputs 30W. Going through the Activator Roll of Honour results for QLD recently, I noticed that there were no results for Digital Voice. Checking the state of play for the other states, I saw that the Australian Capital Territory and Victoria had one each. 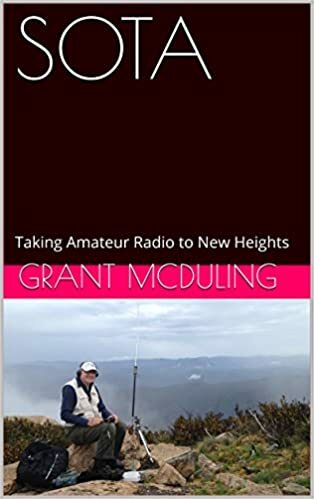 It was time to put that right, so on Saturday 23rd June, I headed out for Mt Cotton (VK4/SE-115) with nothing more than my Yaesu FT-70DR hand held radio. I had activated this summit more than a year previously, so if I logged at least four qso’s, it would count as another activation and my tally would increase by one point. The climb up to the summit was uneventful and I headed to a clearing that featured a rather tatty picnic table and a good view. I set the radio’s frequency to 147.400, the calling frequency for digital modes, and the mode to DN (Normal Digital Mode). I had pre-arranged with Wal, VK4CBW, to listen out for me on simplex. His was the first contact I made. The distance between us was 26.33 Km (16.456 miles) and his Yaesu FT-2DR connected to a beam antenna sounded excellent. I ran a few quick tests too, to see what difference it would make to the signal if I placed my radio flat on the ground while he spoke. It made absolutely none! Trying to get more height when calling CQ. I am well used to using FM simplex on summits and noticed immediately that with C4FM there was no background hiss at all. The audio was as perfect as can be, very similar to that of a mobile phone. I then had a long qso with George, VK4HGT, followed by Phil, VK4MOT and Bob VK4YA. All contacts were remarkable in that the audio was perfect. I think C4FM is far superior to FM analogue and it’s a mode I’ll be using more often in future. Another Field Day success. This time my main goal was to rake up a few contacts during the John Moyle Field Day, operating from Mt Coot-tha in Brisbane with my FT-817 and Buddistick antenna. But this time, instead of squeezing the most out of 5W, I hooked up my new HF Packer miniHFPA2 Edition linear amp that puts out a massive 30W. And the beauty of this is that I would only need my 7 A/H gel cell to power it. My set up for the day, from left: Yaesu FT-817, HF Packer miniHFPA2 amp, LDG-Z100Plus tuner. Behind: Yaesu FT-70D, Sotabeams powwerpole distribution box on top of 7 A/H gel cell. I mounted my Buddistick antenna to a BBQ grill behind the operating bench that looked as though it had seen better days. Fortunately the G-clamp just fitted. The Buddistick did a good job and was easy to erect. I chose it over a dipole as there was no ready method to secure my squid pole close to the operating bench. Well, at the start of my 40 minute activation, my battery showed 12.69 V and at the end, 12.60 V. And that was after continuous SSB work on 40m. So 9 QSOs later, I was content to pack things up and head for home. HF conditions are terrible at the moment, so when could be better to put the latest version of the HF Packer Amp, the miniHFPA2 edition, to the test? The amp is set to accept an input of 5W for an estimated output of around 30W. It also has the 60/40 and 30/20 Low Pass Filters installed. A side view of the amp enclosure with the side panel removed, showing the clip-in LPF board. I chose to look for a station operating on 40m as this is the best band for local (VK) signals during the day. My luck, the band was dead. Then I heard Gerard, VK2JNG calling CQ from Lake Innes Nature Reserve (VKFF-1955). I returned his call and received a report of 5/9. So there we have it: the amp certainly does what Virgil, the designer, set out to achieve. I have LPFs for all bands and will use them when the time is right. The LPF boards are professional quality. Each board is marked with the bands they are designed for. The while guides aid with slotting them into place. Each LPF is a 2×1 inch plug-in circuit board that is interchangeable in the field with the entire family of same size modules. Each LPF has a unique ID, and the panel LEDs inform you which LPF is active. Two LPF boards are plugged into the enclosure, one on each side. To select the one you need, all you have to do is flip the LPF toggle switch on the front panel of the amp. Field replacement consists of removing a side panel, unplugging an LPF and sliding in a different one. 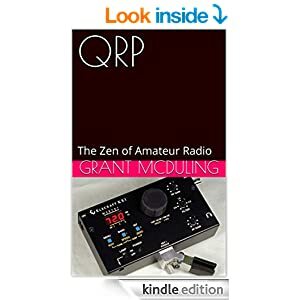 Everyone’s been complaining lately about poor propagation when it comes to amateur radio. But I think I have found the answer to my situation, especially considering I run an essentially low power operation. I ordered a miniHFPA2, a linear amplifier that is made for portable operation out in the field. This little beauty is the 5th generation HF Packer amplifier that comes pre-assembled, tested and calibrated. All I had to do was to hook it up to my Yaesu FT-817, then feed the output through an SWR/Power meter and Antenna Tuning Unit to my long wire antenna. All set up and ready to test on air. I happened to notice, on checking SOTA Spotter, that VK2IO Gerard and VK2/G4OBK Phil would be activating three summits, VK2/IL-001, 002 and 005 on Thursday 8 February 2018.. This would present me with an excellent opportunity to try out the new amplifier. I tuned up on 40m and responded to their calls. Gerard mentioned that he was receiving me well and gave me a signal report of 569. This was excellent news, given the marginal conditions. I worked all three summits as they were activated and couldn’t have been more pleased. You see, normally my 5W output wouldn’t have been up to it in current conditions. So what is this little gem of an amp all about? According to Virgil Stamps, who makes the amps, the aim of his project is to give your signal a boost so you can start making memorable contacts under marginal conditions. It certainly has lived up to that! The amp gives a clean, more powerful output signal from a QRP transceiver with a good balance between output power, physical size and weight. And what’s sure to excite any SOTA or WWFF operator, it can be powered by any battery such as a 7.2 AH gel cell or 4.2 AH LiFePo4 battery. The amplifier provides a full output of around 30-35W with as little as 9V DC, making it very tolerant for outdoor battery operation. What makes this amp a little different is the heat sink that is secured to the top of the enclosure. It isn’t the more common type that features rows of serious fins; it is a flat metal plate of around 1mm in thickness. And it does the job it is intended to do very well indeed. It lends itself to outdoor use as it can easily be accommodated in any backpack, but care does need to be taken so as not to damage the toggle switches on the front panel. I particularly like the slim heat sink that is secured to the top of the enclosure. The amp comes complete with two low pass filter modules (60/40m and 30/20m) but mine came complete with additional ones for 160m, 80/75m, 17/15m, and 12/10m as well. These modules are inserted into place by unscrewing the left and/or right hand side panels of the enclosure. They slip in effortlessly, thanks to cleverly designed guide posts on the LPF boards. I think when I proceed on my next SOTA activation, I will decide beforehand what bands I will be operating on as I think unscrewing side panels in a hostile environment such as on a summit could be a little tricky. Virgil did send along a sealed package containing spare enclosure screws, heat sink compound, two spare MOSFETS and some other items. Great service and attention to detail. At the time of ordering you need to specify what level of input power you will be using. This could range from 1 to 5W; I chose 5W. Output power is an easy 30W. Spurious products are -40dB or better at 35W, with harmonic content at -45dB or better at 35W.